on Twitter @LibraryCampaign. There’s a link to our most recent tweets here. on Facebook The Library Campaign For the latest daily digest of news relating to libraries click here. The Library Campaign evidence to Arts Council England consultation. The Library Campaign, founded in 1984 and now a charity, is the sole national representative of library users, Friends groups and campaigners. We work with Unison and Campaign for the Book through the Speak Up For Libraries coalition. Our own website (www.librarycampaign.com) serves a large number of members and non-members, eg by maintaining the only national list of library groups. We also publish the only national magazine on public libraries. TLC believes strongly that the arts – across the full spectrum from literature to fine arts, the performance arts to digital media – are essential to wellbeing. In an age of austerity and increasing social division, they are more vital than ever. We also believe that both enjoyment and active participation can be available to everyone regardless of age, income, disability or background. Everyone should be able to find a life-enhancing arts medium that suits their needs and aspirations. The keys are wide choice and easy, everyday access. We are therefore very happy with the outcomes identified in the report ‘Shaping the next ten years’. – helping people to ‘find and access a wide range of cultural activities’. – better provision for children, young people and families. We trust that ACE will now appreciate even more that public libraries are not just a peripheral addition to arts provision (possibly as extra venues), with added roles in business, economic and social health that sit uneasily with a purely ‘arts’ agenda. On the contrary, they are key to ACE’s exciting new perception. They are a massive resource, already at work in the areas identified, at local grassroots level, nationwide. Investment in the support they badly need will be a major contributor to ACE’s ten-year aspirations. Probably the largest single contributor. We acknowledge – and welcome – the already increasing depth of ACE’s understanding of the role of public libraries. Nicholas Serota made this clear in his blogpost on 9 October 2017 (http://www. artscouncil.org.uk/blog/increasing-access-arts-and-culture-libraries): ‘The arts and cultural sector can perhaps learn from the way that libraries interact with their local communities. ‘Again and again, the public tells us that they see libraries as trusted spaces, that they are welcoming to everyone and offer a safe, creative environment where knowledge is respected – people don’t feel intimidated to enter them. Building on this, we would argue for a fundamental re-orientation of ACE’s attitude to public libraries. Yes, they are a convenient and uniquely accessible venue for ACE-funded arts activities. But they are far more than this. They are the bedrock of the nation’s entire culture strategy. They underpin every other endeavour. 1. They foster the basic tools required for access to, and appreciation of, the arts – literacy, emotional literacy, digital literacy, information literacy – as well as more subtle enablers such as self-esteem and self-confidence, health, social cohesion, a sense of belonging, a sense of place, acquisition of skills, the knowledge required for the exercise of citizenship, the feeling one can have influence in one’s locality, even the ability to make a decent living or launch a business or arts project. 2. Despite recent devastating cuts, they remain far more widely provided than any other cultural resource. Many local authorities have no municipal theatre, museum or art gallery. They all have libraries. In many areas libraries are, quite simply, the sole local cultural resource. Local libraries therefore function as an irreplaceable ‘first step’ to every other aspect of the arts. It might be simply finding out what’s on locally (a major issue for many people). It might be taking part in an activity based on reading or crafts. It might be borrowing play-sets or music for a local group. It might be being guided to access expensive online arts reference resources, or digitised arts and museum collections including the British Library’s. The possibilities are endless. And access is free of charge, which is far less likely to be true of other culture facilities. This is of central importance. Properly funded and staffed libraries, within a national network, enable simple one-step access from the smallest library to a wealth of resources, both digital and physical. No other neighbourhood facility can possibly provide all this. Children, students, people on low incomes, older people, people with poor English and many other disadvantaged groups can, at the very least, sample a wide choice of books to help them discover what interests them. They can read or study in peace, meet others and join in group activities if they wish to, and experience a civilised space that belongs to them and does not demand any payment from them. Libraries are the most accessible cultural venue for all population groups – BAME people in particular – and are seen by the public to be so. The popularity of libraries among families also enables the appreciation of a full cultural offer at a formative stage for young children. This is more important than ever, with the narrowing of the school curriculum. On this basic provision has been built – up to now – a rich layer of added activity that is ‘cultural’ in the very widest sense. Obviously libraries give free access to reading (and films). A wide choice of free material enables people to experiment, go beyond the mass market offer, find things they might not have expected to like, ideas that challenge. This is underpinned by, for instance, pre-literacy sessions for small children and book clubs catering for all ages and abilities (from children and teens to people with mental health or other disabilities), and all kinds of reading (from poetry to manga, politics to sci-fi). Reading for pleasure has been proven time and again to confer major benefits in terms of educational attainment, empathy, mental health, etc. Talking about reading is a simple step into human connection and self-expression. It comes very high on the list of popular means for cultural participation. ACE has, up to now, dedicated far too little of its overall budget to literature, support for authors and events linked to literature. It is also widely perceived to have done too little to support libraries’ work in this area. This needs to be urgently reconsidered. Reading-based activities are just the beginning. The ACE-funded report ‘Libraries welcome everyone’ spells out the enormous range of activities available in libraries nationwide. These arise quite naturally out of libraries’ basic remit to educate and entertain, and to be available to all. They are successful in attracting a diverse range of people and bringing them together. The report also notes that ‘so much of this work is seen to be “everyday” (ie, not something special) that it often passes unrecognised’. This is a point that needs emphasising. Above the ‘everyday’ level, many library services still manage to run author visits, local book prizes (usually working with schools), and entire literature festivals. The library also can – and does – serve as a meeting space and as a default venue for arts and crafts activities, art exhibitions (by professional artists and local clubs) and performances of all kinds (ditto). Facilities for video and music creation, 3D printing and digital arts are a growing area. A number of libraries have developed an outstanding role as venues for music performances. Festivals small and large – often multi-ethnic and multi-media – are run by library services or individual libraries, sometimes with professional performers, sometimes with considerable input from volunteers and from local cultural groups. Local-level activities do much to counter the current imbalance in provision between London and the regions. This is something ACE could nurture and build on. They also make it much easier to incorporate local people’s ideas and contributions into what is offered. This is very much wanted by the public. All these activities foster opportunities for people to do their own creative work and perform or show it, at the library or more widely. This could be as simple as reading aloud in a group, or placing something you have created in a library exhibition or craft fair. It could be writing or performing, depending on what the library offers. As well as providing personal fulfilment and self-confidence, these outlets also contribute to the diversity of the local arts scene and can stimulate insights among other participants. Libraries are thus established as the nation’s single key arts resource – simply by doing what we all know they do. This needs to be properly acknowledged. This is not a power grab for the library sector. It is a concept that can offer a great many opportunities to the cultural sector in general. We do not need to spell out the extent of the recent destruction within the public library service. Hundreds of libraries have closed, or been handed to volunteers to run as best they can. The national network function has been badly damaged. Where they survive, more and more libraries are having to cut back on any activity beyond an irreducible core. Importantly, the loss of expert staff has severely diminished libraries’ power to help people find the information they need, or to run or host arts activities of any kind. ACE therefore needs to address the current emergency in public libraries – their everyday funding and functioning. This has not, so far, been the case. We would argue that ACE needs to adjust its vision and see libraries as central, and essential, to its whole approach to the arts. To discount (and oversee further reduction in) public libraries’ considerable role in the arts is to deny access to millions of people who will have no alternative resource. It is also to deny many exciting outlets, development opportunities and new audiences to arts bodies. We recognise that libraries’ statutory status may make it a little awkward to find ways to fund basic functions. Nevertheless, the current unprecedented situation means it is no longer possible to avoid grasping this nettle. 1. A major national publicity campaign to make the public aware of what libraries offer. Hugely successful projects have been run by the National Literacy trust (twice) and by The Reading Agency (Love libraries) – only to be abandoned. 2. A major national publicity campaign to make decision-makers – national and local – similarly aware how libraries contribute to their agendas, not just ‘arts’ as such but the whole range of ‘that which makes life worth living’. We know attempts are regularly made in this area, but a much stronger approach is needed. 3. An acknowledged role for, and support for, library users and campaigners as ACE’s partners. These are a massive resource of knowledge and ideas, should have a central role in developing policy and are a voice for libraries at local and national level that ACE sorely needs to back up its work. 4. An acknowledged role for, and support for, frontline library staff as ACE’s partners. As above. 5. Full, articulate support for the value of trained library staff, and specialist posts in arts, music, children’s work etc. 6. Grants to support special collections in art, music, drama. 7. ACE-funded posts for arts development officers in public libraries. This is merely a stratagem to enable librarians to continue doing what they have always been able to do as part of their job, but needs must. 8. ACE-funded posts for schools arts liaison in libraries. As above. We note that the need is greater than ever, with schools increasingly dropping arts provision under pressure to concentrate on ‘good’ exam results, while reading for pleasure is badly undermined by an over-analytical approach to reading and comprehension. 9. ACE-funded posts for arts outreach in libraries. As above. 10. Training in arts awareness, management and development for library staff. 11. Better access to arts contacts, and information on possible funding, via ACE. Libraries already function to some extent as chains of venues for touring performances and exhibitions. ACE could do much to strengthen this, for the benefit of both. 12. Acknowledgement by ACE that many libraries are very much in touch with their local arts scene, and actively develop budding writers and performers. Their experience and ‘finds’ should be valued and used. 13. A far larger proportion of ACE’s budget should be devoted to literature (currently a derisory 3.5%). In particular, far more funding for author visits, storytelling, books-related performances, poetry jams, local book prizes, literature festivals etc. Much of this would logically be channelled through libraries. 14. Far better use of existing knowledge and resources. In particular, MLA had a massive website with all kinds of information, from research results to reports of library projects – and evaluation of what worked, and why. This has been lost. We hope it is mothballed somewhere. It needs to be revived and made searchable. 15. Relevant further research. Top of the list is sensible evaluation of volunteer libraries. So far, research has concentrated on whether they are sustainable (Answer: we have no idea, they are all so different). Nothing has been done to find out how they match the functions of a properly staffed library – as libraries. 16. Proper use of CIPFA data. This is well known to be flawed in many ways, but can still be analysed to find out where – and how – library services flourish. A student on a recent short placement at the Taskforce has gained better value from the data than we have ever seen before. This could be followed by a (well-funded) peer review system to pass on knowledge, and distribute it widely. 18. A checklist, possibly based on the Taskforce’s work in this area, to list what a full public library service should provide. This would be a useful tool for all services, and preserve awareness in volunteer libraries of what may be missing. Annotated with local information, it could serve the public as a guide to the full range of services they can access, especially if their starting point is a volunteer library. National standards would, obviously, be an even better tool. 19. A coherent national development plan, slotting together the work of disparate organisations such as ACE, CILIP, LC, TRA,Taskforce – like the Framework for the Future once used by the DCMS. Too often the different agencies seem each to want to have their own ‘vision’, ‘ambition’ or ‘offer’, leading to confusion and duplication. 20. 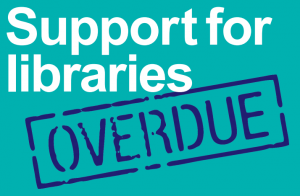 More funding for library work in general – and a clearly articulated message that cuts to library services are endangering the whole basis of a civilised society. UNISON, UNITE and PCS unions have organised a national demonstration in support of libraries and culture including museums and galleries. It is on Saturday 3 November assembling behind the British Library and marching to Parliament. More details here. Petition to protect library services by ringfencing government funding for libraries. You can sign the petition here. If it reaches 10,000 signatures, the government has to respond. Details here and in the Campaigner magazine being mailed out week beginning 24 September. The afternoon will also include the Library Campaign AGM. Amazing Idea to Support Libraries! You won’t believe this – our near neighbour Ireland has come up with a bizarre idea for making public libraries better used. Bizarre, that is, if you live in England. Unusual,anyway. Ireland is NOT planning to “transform” the service, outsource it, make questionable deals with commercial “partners”, or dump it on to volunteers. Nope. It simply plans to open most libraries seven days a week, 8am-10pm (partly by using “staffless” technology, but not reducing staffed hours at all – in fact they will recruit 100 more staff). To nobody’s surprise, a pilot scheme offering longer hours in two libraries led to “increased visitor numbers of between 75 and 185 per cent over a 12-month period in 2016”. Fines will be abolished. Forty libraries will be upgraded. More stock will be bought to attract older people. Efforts will be made to attract children, too. library services – and reap enormous benefits. them, doing the least it can to ameliorate the effect of its own austerity programme while applauding communities forced to replace paid staff with volunteers. Elections to District, Borough and City Councils are taking place on 3 May 2018. Campaigners and others interested in quiz their candidates could look at this page on the CILIP site for ammunition. The rally on 17 February (see below) was very successful and include a speaker from the Friends of Birmingham Libraries. The campaign in Northamptonshire goes on. Northamptonshire County Council has delayed setting its budget for the coming year. It is planning to sell off its new headquarters building with the intention to raise £50 million, but has no idea if this will be possible in reality. It has therefore been instructed by the auditor to remove the sale from the draft budget proposals. The likelihood is that this will mean even more savage cuts, and the recent reprieve of some libraries may well be reversed. A rally will be held on 17th February taking place in front of All Saints Church, Northampton between 12.00pm and 1.00pm. There will be a range of local speakers and some live music. The rally is happening a few days before the council meeting at which the fate of libraries is to be decided. Well-known speakers have been invited and anyone who cares about the future of the County’s libraries is encouraged to be there. never have known that he was on the edge. haven for so many people, asking no questions and demanding no money. is something that can be taken for granted in those not on the edge. But it is something treasured by those less fortunate. behave and interact at this most wonderful time of the year. should never have to be done this time of year gets done. saccharine seasonal film my kids may watch on TV. Northamptonshire to ‘redesign’ library service & Chief Exec leaves. The futures of up to 28 libraries across Northamptonshire have been put at risk as part of cost-cutting proposals announced this week. On October 16th cash-strapped council chiefs revealed a series of early budget proposals they say will save the authority £9.6 million. However, the measures are a prelude to a far greater series of cuts due to be announced in December. The authority is to put three separate proposals out to consultation this week – the first of which will be to invite community groups to run 21 smaller libraries around the county, saving the council £290,000 next year. Options two and three, however, would involve simply shutting the doors of up to 28 book lending premises around the county. Cabinet member for Public Health and Wellbeing, Councillor Sylvia Hughes (Con, Irthlingborough) said: “Faced with significant funding pressures, we have no option but to review the current model for Northamptonshire libraries. Under all of the proposals being put forward, the mobile bus library would be withdrawn from services. Also, all of the proposals will see the county’s eight largest libraries kept. These are the Corby Cube, Kettering, Wellingborough, Abington Street (Northampton) Weston Favell (Northampton), Rushden, Daventry and Towcester. All libraries across the county have remained shut for a day so that staff could be informed of the proposals. Councillor Hughes said the preferred option would be to see 21 smaller libraries taken over by community groups – even though cabinet papers show the council would save around £1 million more by closing 28 of the small and medium completely. In a separate development the Council’s Chief executive, Paul Blantern, announced that he was leaving the authority on 13 October. Coincidentally or otherwise Mr Blantern has been the Chair of the Government Libraries Taskforce which is intended to provide leadership and support to public libraries in England. The Campaign and others have been critical of the task force’s attitude to closures and volunteer-run libraries (see below). starting to wonder. He has just published a blog about his initial experiences in tourism, arts, heritage, what-have-you. Mentions of public libraries? Not a single one. needed in perpetuity. Will that happen? declines, which should be investigated properly. The debate rumbles on: should the official library agencies be quite so accepting of endless cuts? It reached flashpoint recently with reports of a conference appearance by Taskforce CEO Kathy Settle. We asked Kathy Settle for the facts. Here’s her reply. Save your local! Should volunteers help keep our public libraries open? Interesting Guardian article published on 8 August. Elizabeth Ash who is quoted as a Campaign trustee has stepped down from that role but we agree with what she says! CILIP has welcomed this twin emphasis on strengthening and modernising the core library service as ‘vital social assets’ and on re-introducing standards as an effective way to correct the deficiencies of the Public Libraries Act. Unfortunately, a continuation of austerity would almost certainly mean that some councils continue to explore the transfer of library services to ‘volunteer-led’ models, thereby exacerbating the existing postcode lottery of provision. 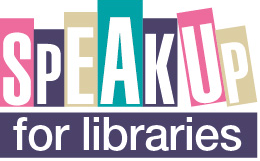 The Speak Up for Libraries alliance, of which the campaign was a founder, is urging people everywhere to make public libraries a central issue in the General Election. The election offers us another chance to make sure central government understands that libraries are a low-cost, essential council resource for all communities. They are vital to national agendas such as ‘Digital by Default’. And they are deeply valued by local residents and the nation as a whole. Already, many library services are threatened by, or experiencing, deep cuts, widespread closures of vital local branches – or the damaging policy of turning them over to volunteers to run. Yet the Government continues to cut the grants given to local authorities. Local councils currently face an estimated overall funding gap of £5.8bn by 2019/20. Although libraries are a statutory service, they are often seen as a soft target for cuts. Such cuts often save little but do great damage. If people wait another five years, their own library could go. Nationally, a postcode lottery is a reality with only some communities benefitting from the presence of a council funded and professionally run library. Libraries remain the lynchpin of communities, offering access to reading, learning, information and leisure. Libraries are, or should be, a trusted public space for everyone. They play a crucial role in improving literacy standards and in combatting the digital divide. Speak Up for Libraries believes that libraries, far from being obsolete, are more important than ever. That is why we are asking the government to make a public commitment to their survival and development. Give libraries a long-term future, with a vision for their future development and clear standards of service. Enforce the commitment in law for local authorities to provide a ‘comprehensive and efficient’ library service. This commitment should also include digital, ICT and e-book services. Acknowledge that libraries are important to individuals and communities – especially in times of hardship. Enforce the duty that local authorities have to properly consult with communities to design services that meet their needs and aspirations. 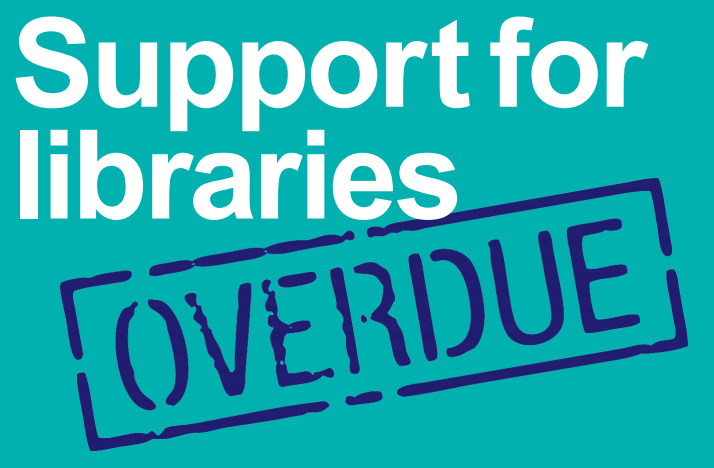 Ensure that local authorities receive sufficient funding in order to deliver properly resourced and staffed library services. Recognise that properly resourced library services contribute to the health and well-being of local communities and of society as a whole and therefore complement the work of other public services and of national government agendas. As we regularly point out, libraries are a tale of two planets. Hundreds are being closed, starved or dumped on to reluctant volunteers. Yet they remain uniquely useful, popular and are fiercely defended by their communities. Their potential to develop remains unlimited. Unless government (national and local) gets a grip, the future is grim. Meanwhile, better information is badly needed. A new report from Carnegie UK has plenty of good news as well as bad. Veteran campaigner Tim Coates says it should have highlighted the badness – before it’s too late. Which do you support? Take your pick. – More here. Everyone is welcome to the AGM and meeting on 14 January 2017. Please help us to cater for numbers by letting the Chair, Laura Swaffield, know that you plan to attend. The Library Campaign welcomes new members and is keen to enlist new blood to the committee. Why not join us for the AGM and meeting to find out more about the activities of the charity, offer your views and consider what contribution you might like to make? The National Pensioners Convention is holding their annual Pensioners’ Parliament in Blackpool on 14-16 June. They would welcome any library campaign groups having a stall at this event. You might just like to attend to engage in the different sessions, including the effect of cuts, digital exclusion, loneliness and what the future holds for campaigning. More details and the programme can be found here. Do you have images that we could use and potentially share with others? CILIP launch a crowdfunding exercise for a library fund… Find the details here. A plea to the SCL, ACE and the DCMS…. Time is running out for so many public libraries…. Are there alternatives to closure of libraries in Lancashire? Lancashire Libraries propose drastic cuts to libraries. Frances Hendrix suggests alternative models to prevent closure. Read more, here. Our junior reporter, 11-year-old George Hamerton, speaks up for libraries at the rally and lobby of parliament on 9 February 2016. Read his speech and report on the day, here. Join Speak Up For Libraries on 9 February for a rally at Central Hall Westminster prior to a lobby of MPs. It’s for everyone who cares about libraries. The Library Campaign will even try to cover the cost of travel for anyone for who finds the cost of travel a barrier to attending. For details and to book, click here. Have you seen the report and toolkit? The ticket sales have launched, with an early bird booking rate of just £20, applicable to all bookings made by 20 October. There will be a session discussing the pros and cons of volunteers in libraries and another preparing for the Q and A with the Paul Blantern and Kathy Settle from the Leadership for Libraries Taskforce. And to round off the day, you’ll get to hear from John Dougherty, who has promised to bring along his guitar. What’s not to like? Grab your place now. Ed Vaizey MP wants to know what we think about culture, and how the government could… er… support it! CILIP’s 2015 Libraries Change Lives awards finalists announced. North Ayrshire Libraries, Portsmouth City Library Services and St. Helen’s Library Services have been shortlisted for this year’s awards. Read more here. Fed up with the ‘libraries are irrelevant’ brigade? some great ways to present them. What is going on with Lincolnshire Libraries, back in the High Court? What appeared to be a simple case is now rolling into day three. It’s a nail-biter, says the Chair of The Library Campaign, with a decision expected early next week. Read her account to date, here. Have you used Freedom of information (FOI) requests in your campaigning work on libraries? A student, undertaking postgraduate research at University College, London, is keen to gain your views. Click here, for more info. Public Interest Lawyers would like to hear from individuals or campaign groups who have contacted the DCMS, asking for them to consider an inquiry into local library services. Read more here. Help Save Walkley Library in Sheffield. Postgrad research into the use of FOI by campaign groups. If you care about Shropshire libraries, get in touch! A new campaig n group seeks members and supporters. Find out more here. Wales have released guidance on volunteer managed libraries and where they sit within statutory library provision. Read more and download the report here. There are still places available for a Campaign Workshop being run in Birmingham on 26 June 2015. Full details here. We are currently looking for a suitable venue in London for a date in July. Details shortly. Could you offer help or are you considering standing as a Trustee? Please get in touch. We would welcome any offers of help and are particularly keen to encourage new Trustees to join us to strengthen and develop what we can achieve as a charity. The Library Campaign have offered to facilitate the debate. Watch this space for details. …and the discussion naturally turns to the plight on public libraries and their value. Read Ian’s account here. A page from our latest member magazine, reproduced here, along with links to other useful resources from Speak Up for Libraries, Voices for the Library and CILIP – the Chartered Institute of Library and Information Professionals, in the run up to the general election. #NLD15 and Johnny Rotten means business! Be there for libraries. The Library Campaign believes that National Libraries Day 2015 delivers an important message. Let’s make 2015 the year we make a difference for libraries. Laura Swaffield, Chair of The Library Campaign, speaks out on the decision taken on libraries in Lincolnshire. Sieghart – Action needed now! a few words of their own…) You don’t have to live in Sheffield to care about this. It concerns us all. The Sieghart report on public libraries has sat on the minister’s desk for over a month. No sign of publication. Maybe it’s because the minister (Ed Vaizey) is waiting until he can publish it alongside news of what he’s going to do about it. Maybe. For action is urgently needed – and it’s perfectly possible, William Sieghart stressed …. Save the Children, working with a coalition of charities and organisations has released a new report on literacy. The Read On. Get On. campaign has been launched, tackling childhood poverty through improved literacy, with the aim that every child will ‘read well’ at age 11 by 2015. The Library Campaign believes libraries have a vital role to play to achieve this target. Lincolnshire libraries rescue could save libraries nationwide! Helen Goodman MP is consulting – but with whom? The consultation closes of 30th June and The Library Campaign are digging deeper. Find details here of the consultation. We’ll add details of how we get on when we get a response but The Library Campaign are committed to holding Helen Goodman to account for her claims of consultation. Watch this space. 14 June 2014 – AGM and discussion held to shape the future of The Library Campaign. This event was open to all. Read the report of the AGM. And read the details of the open meeting, including a list of priorities. We’d love to hear what you think so please leave your comments. Click here to view and comment. Have candidates in your area signed up? Has your local councillor, standing for election, signed up to the Speak Up for Libraries manifesto? Read more here. The Library Campaign submitted evidence to the DCMS/DCLG commissioned Sieghart inquiry. To see a summary of the points we made, and to see the full submission, click here. The Library Campaign’s evidence to the Commons select committee on the work of ACE (now supposed to be looking after libraries). In brief, we said that: (1) libraries aren’t a good fit with ACE’s overall work & thinking and (2) even allowing for that, its initial performance has been a disaster for libraries. Click here for the evidence submitted. Download the report for your library authority here. A public meeting on Saturday, 26 April 2014 in London. CIPFA data released and The Library Campaign speak out! The Library Campaign responds to the statement made by the Society of Chief Librarians on CIPFA data. Read it and add a comment here. Do it yourself libraries here. Neil Gaiman speaks the importance of public libraries here. Read The Library Campaign’s briefing paper for the Libraries All Party Parliamentary Group here. The Conference will take place in London on Saturday, 23rd November – 10am to 4.30pm and is open to all. Read Alan Wylie’s post on the Conference here. National Libraries Day on Saturday, 8th February, 2014 at the end of a week long celebration of libraries across the country. Read more here. DCMS will not intervene over library closures in Bolton and Isle of Wight. Read the IoW decision letter here and the Bolton decision letter here. The Library Campaign and national library campaigners highlight the decimation of library services as the DCMS watches on, failing to act. A necessary step or not the time for such an exercise? This has received a lot of attention on social media and in the press. Find the tweets from the meeting called here. Read the report and our comment. We’d love to hear what others think. Are we fussed who calls for action, or more concerned that action IS taken? Let’s Get Real! Libraries are in Crisis. Now! Petition launched to save Herefordshire libraries from savage cuts proposed. Find out more here. Controversy surrounds the negative statistics used to launch of Bookmark Your Library website which aims to promote libraries in the UK. Read more here. Laura Swaffield, Chair of The Library Campaign, and children’s author Alan Gibbons debated libraries on Radio Utopia. Listen again here. Read the details here and give us your thoughts. Find out press release here. Hear Debbie Hicks from The Reading Agency, Biddy Fisher, past President of CILIP and Ed Vaizey MP on Radio 4 at 23.42 minutes here. The Arts Council has published a report looking at how communities are getting involved in the running and management of local libraries. Read it HERE along with our press release. And comment from the Nicky Morgan, Director, Libraries at Arts Council England here. You can also use the News tab above to access this and all previous news items. This is a digest of all news items in the press each day, compiled by national library campaigner, Shirley Burnham. This and all previous daily news digests can be accessed by clicking the Libraries in the News tab above. Find CIPFA data for your authority here. The Library Campaign is supporting this lobby and encourages all supporters of libraries to take part. You can sign up at the Speak Up for Libraries page. If your local group wants space to explain your situation email by Friday 9 March. Get in touch – e-mail us now! You might like to see the blog I did on libraries on the Writers & Artists website called “Visiting Libraries” (I won’t put a link just in case your firewall blocks it). This would be a great idea to promote the plight of libraries in the uk. Libraries are an essential part of the fabric of our heritage, our culture, our education and our opportunity for self-improvement. We have all grown up with them, and despite ready access to information online, we still need books and information services. We should not be denying to future generations this vital tool that we have had in the past. After all, Victorian values – the Victorians started public libraries!